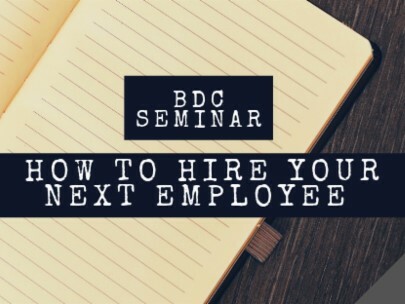 How to Hire Your Next Employee! Are you in the hiring process for your business? Do you know where to start? Join us on Tuesday, April 30th at 9AM to learn some key steps to successfully creating, posting and hiring for your open position. Our workshop will be led by Christine Flynn, president of fás trí comhar and Associate with Anchor Advisors. This seminar will also be available as a webinar! Admission is $5 for BDC members and $10 for non-members.